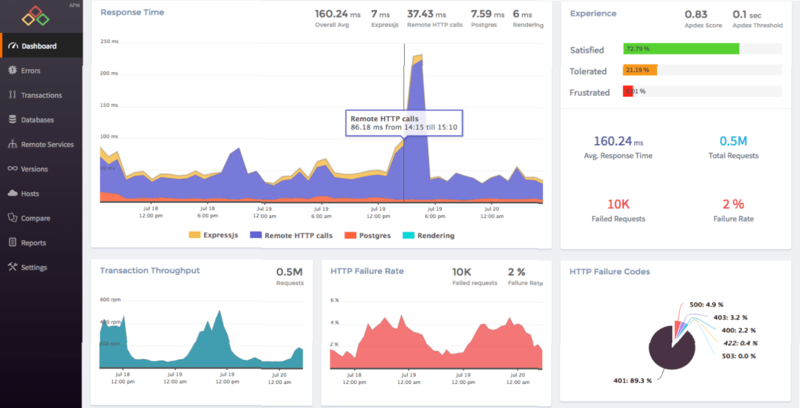 Atatus offers a suite of performance measurement products to monitor and improve the performance of your browser, APM, infrastructure applications in real-time. 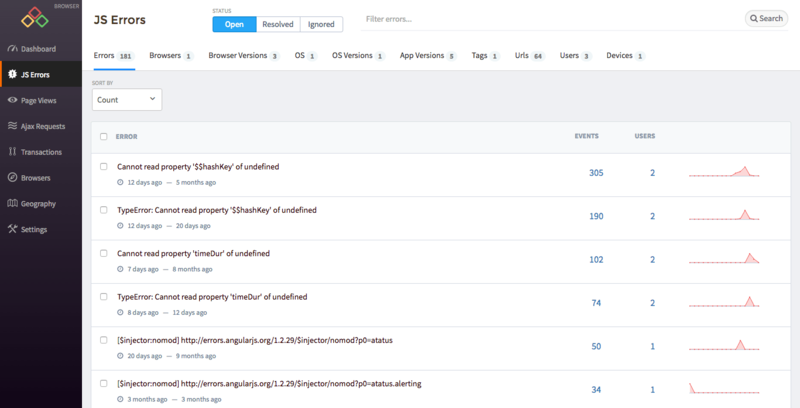 The error tracking feature will identify and log the errors. 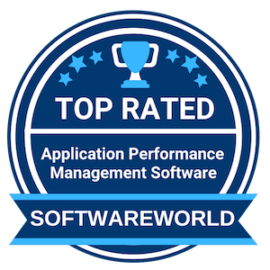 One of the top APM software it promises cloud or on-premise deployment flexibility. Organizations that are its users recommend it. What are the benefits of Atatus to the businesses? Your business can benefit from using the Atatus by which you can get a complete overview of your stack, how it performs, where are the bottlenecks in performance, which users are affected the most and which errors break your code for your frontend, backend code and the complete infrastructure. › Browser Monitoring - to monitor the performance of web pages, users interaction of the pages, the load time, the AJAX request wait times. 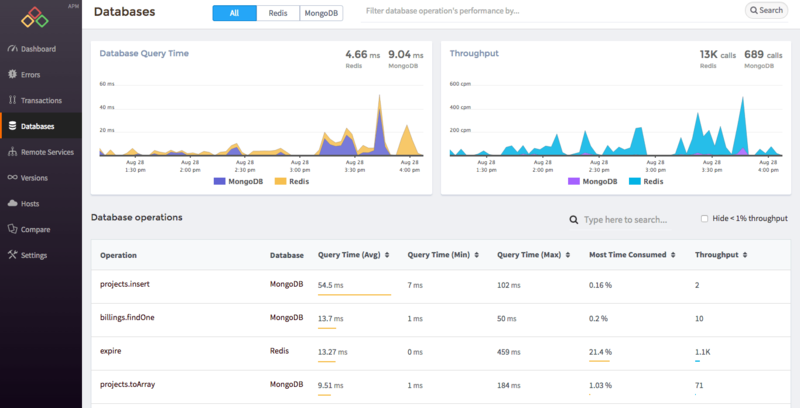 › Application Monitoring - to monitor the performance of the servers, the processes, the response time to the DB requests, response time. › Infrastructure Monitoring - to monitor the performance of the infrastructure. The amount of CPU utilization by the servers, the storage used, the number of network packets sent and received. › Health Checks - to monitor the servers continually to know the status (health). It tells if the server is up or down. The monthly infrastructure plan pricing starts at $10/ host. The annual plan pricing starts at $84. What is unique about Atatus? › Excellent Error tracking system. › Pre available packages ready for installation. The above list is not complete. Atatus offers support to many other platforms too. "Extremely easy to implement, but offers so much visibility into my web app! Before installing Atatus, I was blind to the performance and errors that my clients were getting. Now I can see every error they get and look at pages that are slow to load and fix them." - Scott G.
"The best thing about Atatus as a tool is the continuous improvement of the technology and the fact that it enables its users to overcome business issues. We have been working with Atatus for only a few months now, and so far with the help of the Session Traces provided we identified bottlenecks on customer applications that originated from both the application code and the database. The ability to visualize these was enough for our Dev and Ops teams to analyze the issue further and improve the application performance." - Marco G.